Morgan Salmans and Stephanie Brown Bring Delicious Food, Fresh Perspective, Live Music, and Laughs to Local Favorite Patio Dining Lunch & Brunch Spot Located in the Ojai Arcade. 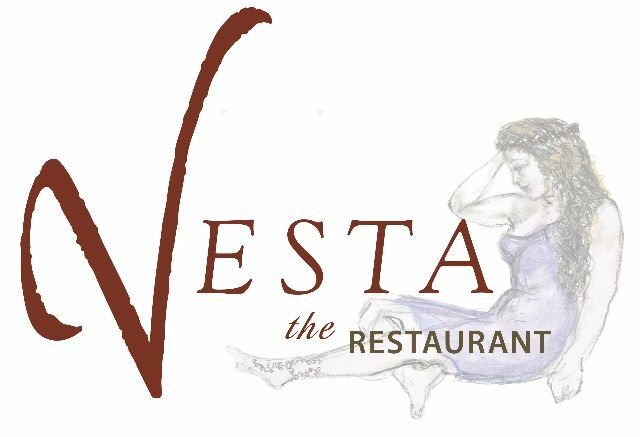 Ojai, CA – August 18, 2010: Vesta the Restaurant located on the Ave in the Ojai Arcade celebrates its 1st Anniversary by capturing the attention of frequent local diners and out of town guests alike. The transformation from home luxury gift store and tea house to its expansion as an inviting local palette pleaser serving up delicious dishes for lunch and brunch has also gained the attention of a highly successful celebrity chef based reality TV show slated to air its next season in early 2011. When Morgan Salmans and Stephanie Brown stepped into the ownership role of Vesta last year, the creative and inspired duo knew they had much on their plate. They also knew that they have the vision, positive energy, and the culinary point of view to present a local eatery that delivers warm yet casual elegance in a beautiful location that also features a menu from fresh and healthy salads, to comfort food at its delectable best. While final decisions will not be made until late Fall if the pair and their team will in fact, penetrate the TV airwaves, Morgan & Stephanie invite you take your seat at Vesta today to enjoy a fantastic Ojai dining experience. Indulge in a lazy afternoon on the Oak shaded patio featuring lunch favorites like the Buffalo Chicken Wrap or Ojai Chopped Salad alongside a pitcher of the now famous Sangria – DELICIOUS on a hot, summer afternoon. Or nibble on a 3-way platter of fries – Rosemary, Garlic and Sweet Potato with sinfully delicious House Made Dipping Sauces like Chipotle and Dill Aioli and more. Unwind after work and start your weekend in style on Friday and Saturday evening’s from 4:30 – 7pm with Vesta adVenture Hours. Otherwise known as Happy Hour, Vesta adVenture Hours will present an adVenture Hour Menu featuring special pricing on Sliders, Fries, Wings and MUCH more. Live music or other dining entertainment will be featured at least one night weekly. Just want to relax after a day at the Spa, Biking, or Hiking in Ojai? Vesta’s Sunday Champagne Brunch from 11am – 4pm is for you. Choose One breakfast menu favorite including Brioche French Toast with Berries alongside Applewood or Veggie Bacon or the Ojai Breakfast Wrap with a bottomless Champagne glass… or if you’re feeling creative, step up to their fully stocked Omlette Bar and bring your brunch dream to reality on the spot for only $20. per person!! Whatever you’re looking for – Vesta has it all overflowing with a warm and friendly attitude to greet you. If you’ve never been to Vesta, don’t wait for the rush – try them today. If you haven’t visited Vesta in a while, please stop by. You never know what’s cooking in the Vesta kitchen, but you can be sure – you don’t want to miss it! (805) 646 – 2339. VESTA IS LOCATED AT 242 EAST OJAI AVENUE · OJAI · CA 93023 · IN THE OJAI ARCADE.